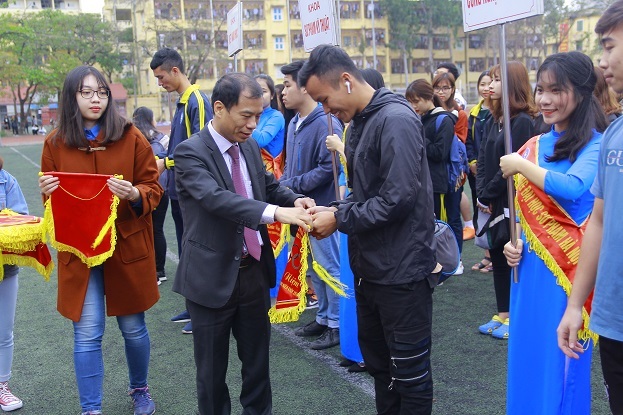 In the sports festival, Assoc.Prof. 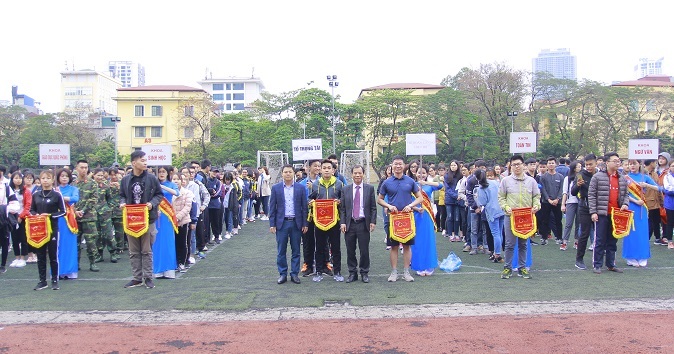 Dr. Nguyen Van Trao - Vice President of HNUE, Dr. Nguyen Van Thoa – the Secretary of Youth Union, Dr. Dang Xuan Tho - the President of Vietnamese Students’ Association of HNUE, the Deputy Secretary of Youth Union along with members of the Executive Committee of Youth Union of HNUE, the secretary of the faculty, the class and a lot of young caresses attended the festival. 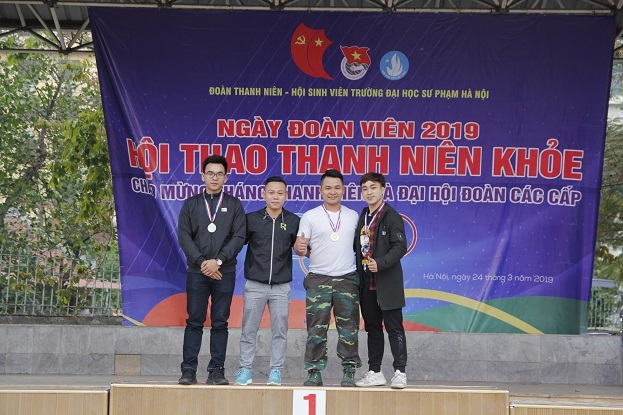 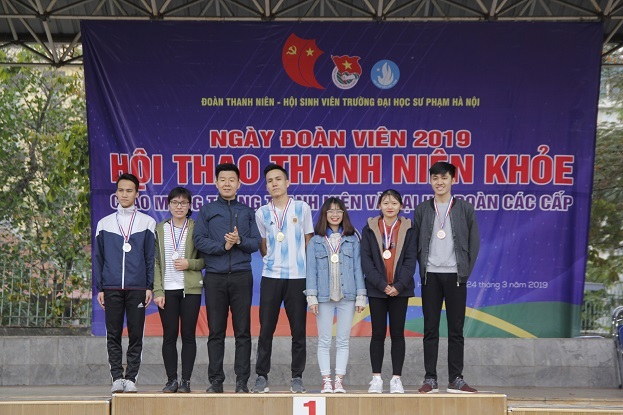 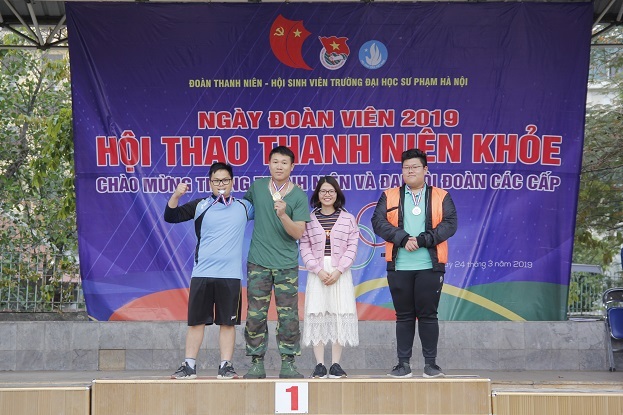 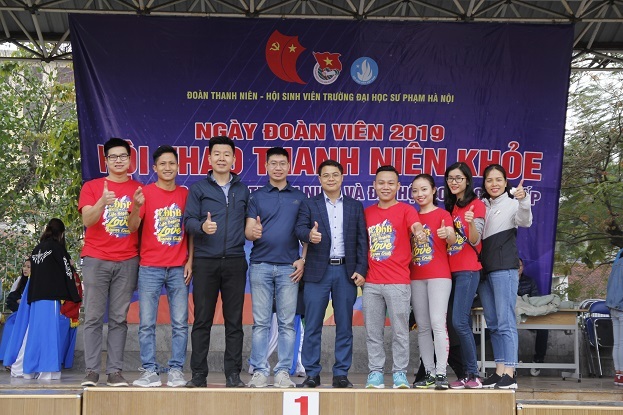 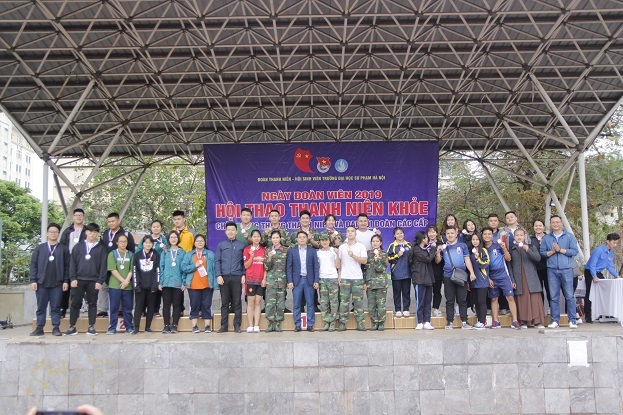 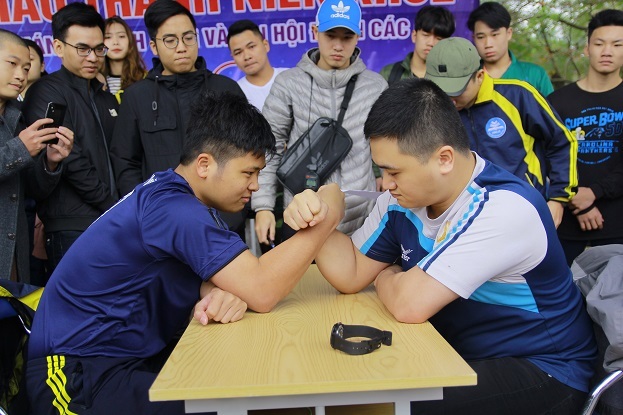 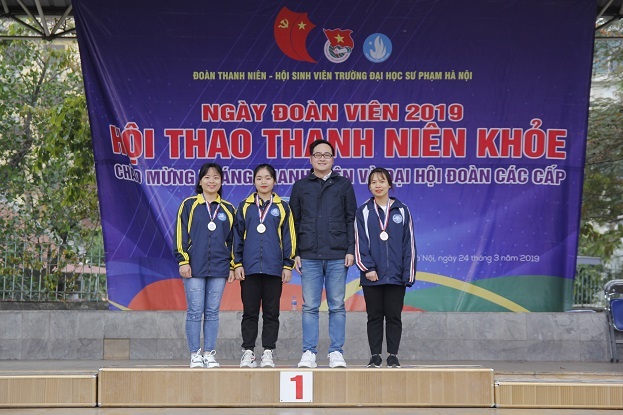 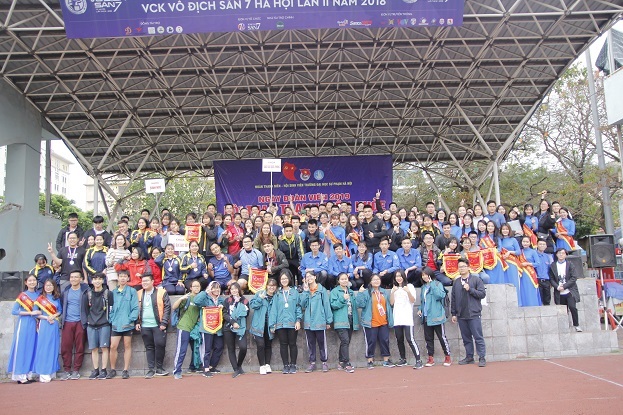 The sport festival was very useful to help youth unionists and students of HNUE have a chance to exchange and unite in studying and promoting their health. 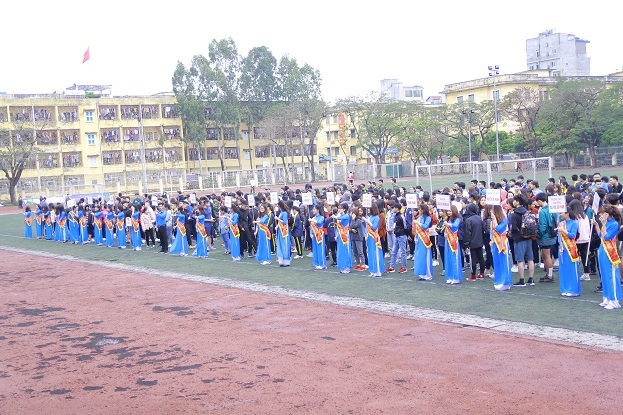 The sports festival attracted a lot of athletes and supporters. 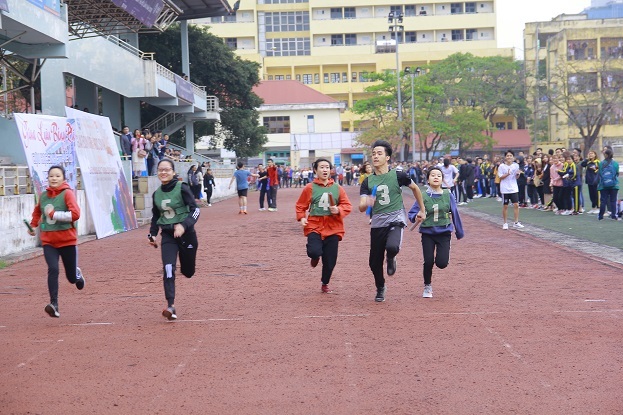 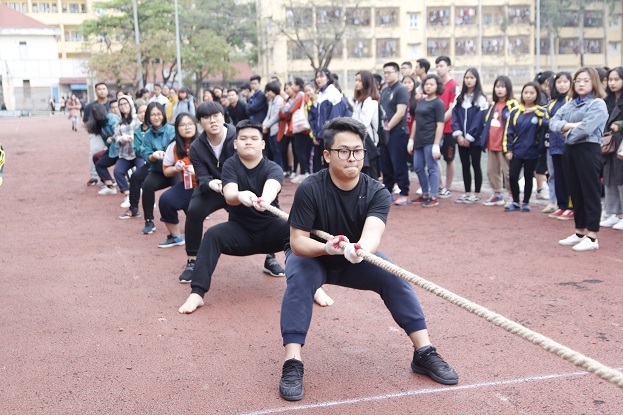 With 4 contents (100m running relay, stick pushing, tug of war and arm wrestling), athletes offered intense competitions. 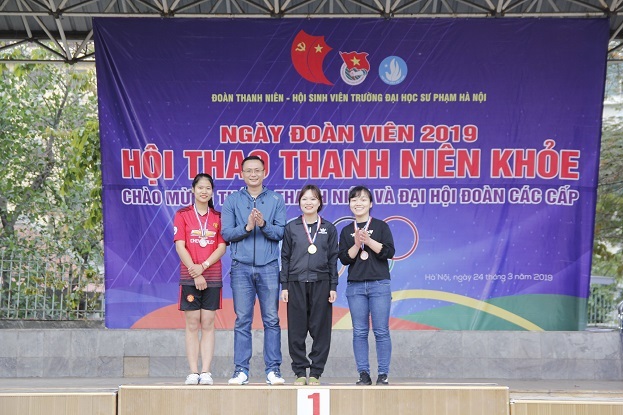 At the end of the festival, 16 golden, silver and bronze medals rewarded to athletes.